As the only Japanese journalism student at the University of King’s College, let me introduce my favorite sushi bars in Halifax. Did we miss anything? Let us know in the comment section or tweet us @unewsca. While we have a number of Japanese restaurants in this city, there are three shops I recommend. As for quality, I believe Suzuki Restaurant is the best in Halifax. This shop is located in Spring Garden. The chef, Yoshimitsu Suzuki was born in Tokyo and now is serving real Japanese sushi here. His excellent skill and stablished atmosphere of the shop will make you feel like being in Japan. “In Halifax, there is no shop which serves only sushi because Canadian want to eat other food such as soba, tempura too. But I want them to try more nigiri, which is the most traditional in Japan,” he says. Suzuki uses real wasabi when it’s available while most of restaurants use horseradish instead of it. 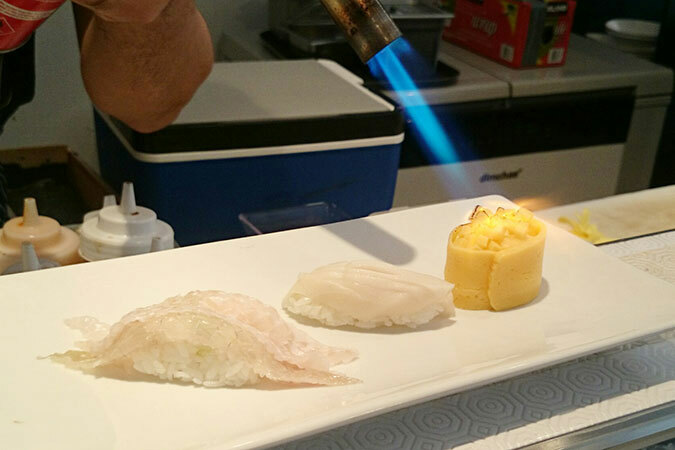 By putting authentic wasabi, the hotness draw out more of fish’s flavor. It also softens the smell of the raw fish. That is to say Suzuki’s sushi can’t be fresher. What I recommend is marinated tuna. This is the one literally marinated with sweet soy source for some minutes to get the source soaked into the tuna. Suzuki says this is popular for only Japanese sushi fan so far, so I suggest you try at least one time. “Of course you can enjoy anything you like. I feel so happy as long as you enjoy my dish,” he smiles. Alex Oh is a sushi chef from Korea. 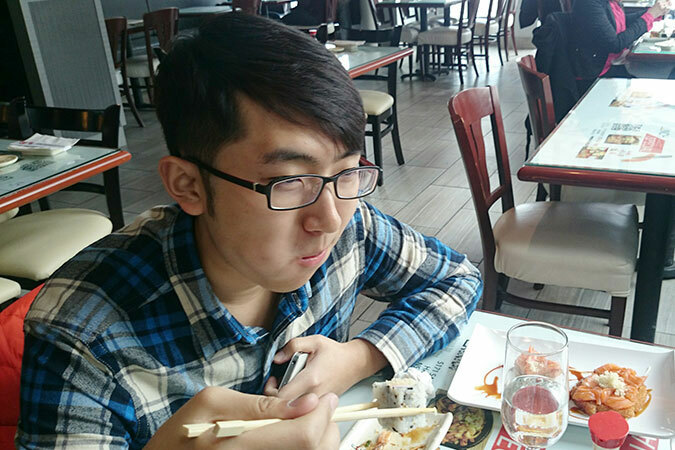 After he was trained in Tokyo for two years, he went to Toronto to serve sushi for three years. Now he has the new store off Spring Garden Road. While he worked in Toronto, he often cooked for famous people. His sushi entertained Beyoncé, Janet Jackson and major league baseball player Masahiro Tanaka. His outstanding career tells us that he is a competent chef, and the best word to describe him would be “creative.” He makes good use of fruits, vegetables and various sources to make his sushi special. When he cooks butter fish, he incises the meat of the fish. “I do this to make it more refreshing,” Oh says. My recommendation is engawa, which is the meat close the fin of a flounder. Engawa is quite rare in Halifax. 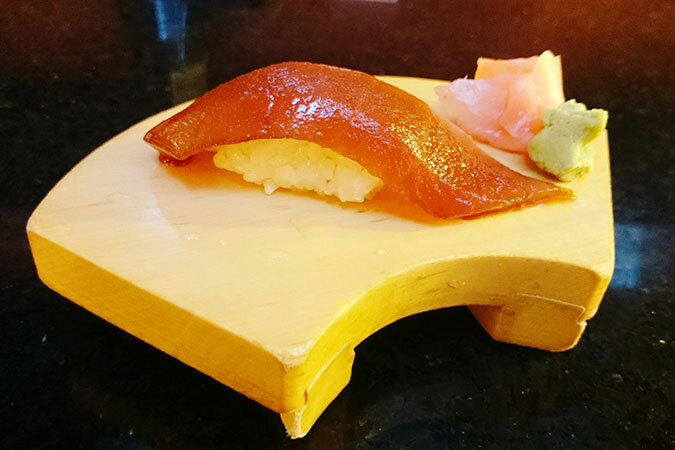 “My shop is different from others in that I have been trying new things for sushi,” he says. If you are looking for a cost-effective sushi bar, Sushi Jet can’t be wrong. “All you can eat” is available for lunch and dinner. You can try Japanese food as much as you want at lunch time. Adults can eat for $14.99 and children eat for $5.99, $8.99 or for free, depending on their age. Dinner time is a little higher at $25.99 for adults and $8.99 for kids three to six, $17.99 for kids seven to 10 and free for children under two. Sushi Jet is one of the biggest Asian restaurants in Halifax, and you can go there with many friends or family members. This shop has plenty on the menu. You can try other Japanese food including yakitori (chicken pieces) or beef don. You can enjoy more food for a cheaper price here. Explore as much as possible and love sushi in this fantastic Atlantic city. B-Well sushi and Fujiyama are also great!